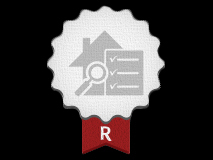 After successfully completing over 3500 home inspections, I feel I have a good handle on how to make a home safer and how to avoid certain hazards. Rents and mortgages are very high is most areas, enjoy your home, don’t have it harm your health. I hope you find the following information useful. Installation of new photo electric smoke detectors. No matter how old or new the home is a new 9v battery PE smoke detector (scientifically proven to react quicker and not be so annoying at the wrong times) in every bedroom, as well as, one per floor in a central location is the utmost important thing for you and your family’s safety. Installation of CO detectors in the proper locations. As of July 2011, it is California state law that carbon monoxide detectors be installed within 10 feet of “sleeping areas” (i.e. in the bedroom hallway and within 10 feet of all bedrooms) and one per floor in a central location. Proper storage or placement of combustibles. Most water heaters have full-time pilot lights, never store combustibles (i.e. paper, cardboard, paints, cleaners, bbq items, etc.) near them or in the same closet as gas-driven appliances. Never hang towels over or above heaters. Upgrading single pane windows. Many older single pane windows are not tempered glass and they will shatter into large chunks, not small tempered pieces on the ground. It’s quite easy to look for the white tempered stamp in the corner of the glass pane. If it is not found, it is recommended to upgrade this window, especially if it’s located near a stairwell, deck or second-story location. Upgrading guardrails and handrails to today’s building standards. Many times guardrails and handrails are loose from common use or the spacing on older guardrail pickets is too wide, where a small child could fall through. And, we all know, child love to play on or near the stairs. Upgrading old furnaces especially if they are located in a hallway closet or in the garage. First off, older furnaces (pre-1990) are terribly energy inefficient and prior to 1982 they have full-time pilot lights. Many of these old systems can be problematic and possibly have back-draft issues (potential carbon monoxide poisoning). Properly fix all electrical issues. Only have a qualified electrical contractor work on your electrical system. It is not worth the risk to you and your family to save a little bit and have a non-skilled / trained handyman work on the electrical components. I can not stress this enough! If you were to every spend money on your home hire and quality veteran Electrician to do the work. Extension cords are for temporary use only. Extension cords are for projects and no more. All permanent appliances should have their own wall outlet. Clean your dryer vent at least once a year. People notoriously do not clean them often enough. Guess what happens when you put a big load in the dryer, the vent is clogged and the timer is set for 65 minutes? 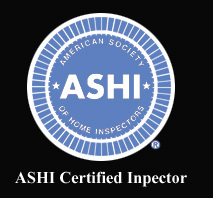 Have your fireplace professional cleaned / inspected. If you have the traditional wood burning fireplace, have it checked by a professional every fall. Remember, at the end of the day, you are starting a fire in your home! You need to be 100% sure it is in proper working order. Trip / slip hazards. Small steps, big steps, loose steps, loose area rugs, slippery decks or walkways. Just picture your poor old Grandma coming over with her poor vision, would she trip on that, if so, fix it. Indoor air quality. Pay attention to symptoms. The human body is very clever, listen to it. If you are low on energy, have headaches, suffer from nasal congestion or feel ill only when you are home, there could be an indoor air quality issue (i.e. carbon monoxide, mold / mildew issue, pet allergens, natural gas leak, toxic fumes, etc.). Have an escape plan. Does every bedroom window have a functioning window that is larger enough to climb out or firefighter to climb in? Does every floor have at least two ways to exit? Is there a rope ladder for the upstairs if the stairwell is the only exit?